Are you ready to put on a Dying Matters event? 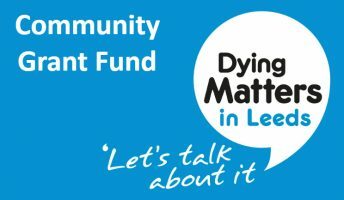 For the second year Leeds Bereavement Forum is administrating the grants on behalf of the Dying Matters Leeds Partnership. Please read the Guidance Notes (.pdf) before you apply. You can also read our Terms of Reference (.pdf) for more information about the Dying Matters Partnership and the grant making process. Applications will be assessed by a panel of representatives from the Dying Matters Leeds Partnership. Unfortunately, we have a limited budget so will be unable to fund all applications.